ECG Technicians monitor the ECG strips and identify cardiac rhythms to provide immediate feedback to health care providers regarding the patient’s status. ECG Technicians are a viable part of the team that takes the edge off of patients who are anxious about their health by explaining testing procedures to reduce anxiety. What does an ECG Technician do? Conduct electrocardiogram (ECG), phonocardiogram, echocardiogram, stress testing, or other cardiovascular tests to record patients' cardiac activity, using specialized electronic test equipment, recording devices, or laboratory instruments. Obtain and record patient identification, medical history, and test results. Adjust equipment and controls according to provider's orders and established protocol. Prepare and position patients for testing. 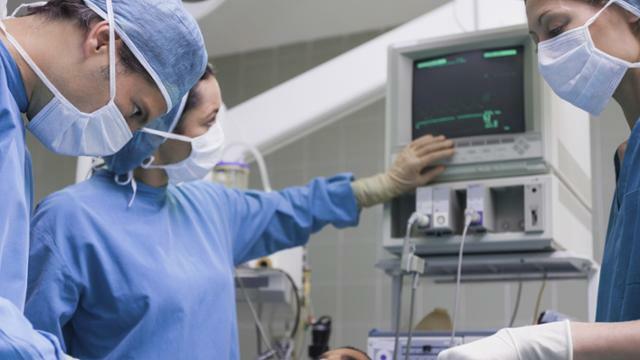 Attach electrodes to the patients' chests, arms, and legs, connect electrodes to leads from the electrocardiogram (ECG) machine, and operate the ECG machine to obtain a reading. Monitor patients' comfort and safety during tests, alerting providers to abnormalities, and changes in patient responses. Monitor patients' blood pressure and heart rate using electrocardiogram (ECG) equipment during diagnostic or therapeutic procedures to notify the provider if something appears wrong. Check, test, and maintain cardiology equipment, making minor repairs when necessary, to ensure proper operation. What do ECG Technicians earn in KC? Most student use this training to enhance a current health care role they have or they are earning. How do I become an ECG Technician? JCCC's program can be completed in approximately three months with 60 hours of training including a three-day externship experience.